A squirt of Windex–yes Windex—on the finger and ring. Any lubricant such as soap or oils. Elevate overhead for 5-7 minutes with ice around the ring and finger, PLUS #2. Compress the swollen tissue with thread or dental floss. 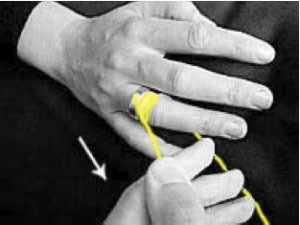 – Slip thread or floss under the ring with the bulk of it toward the fingertip. 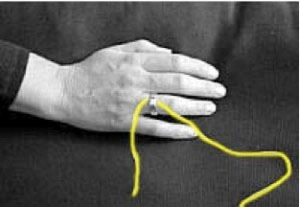 – Beginning at the ring, snuggly wrap the finger with the thread/floss around and around compressing the tissue—go up and over the joint. If all else fails, cut the ring off with a ring cutter found in jewelry stores, fire departments and Emergency Rooms. 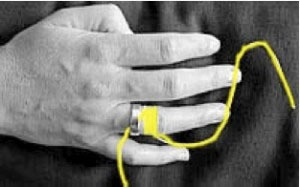 Please send us your How to Get a Ring Off questions or any questions to our friendly staff via our online Contact Form. You may also contact us at or visit our office at 6010 Bay Parkway, Brooklyn, NY 11204.